Your will leaves instructions for distributing your property when you die. With a few exceptions based on your state's laws, you can leave your property to anyone you choose, including stepchildren, godchildren, distant relatives or friends. If you have minor children, your will may also name a guardian for them, as well as a conservator to ensure that any money you leave them is handled wisely. A will does not cover some assets, such as life insurance policies, unless you designate your estate as the beneficiary of the policy, according to the ABA. If you die without a will, trust or other method for distributing your estate, your state's laws will determine who receives your estate. People who die without a will are said to die intestate, and the laws covering their estates are called intestacy laws. In most states, your current spouse, children or parents will inherit your property if you die without a will. If no one is living who can inherit your property according to your state's laws, then the state takes your property, according to the ABA. 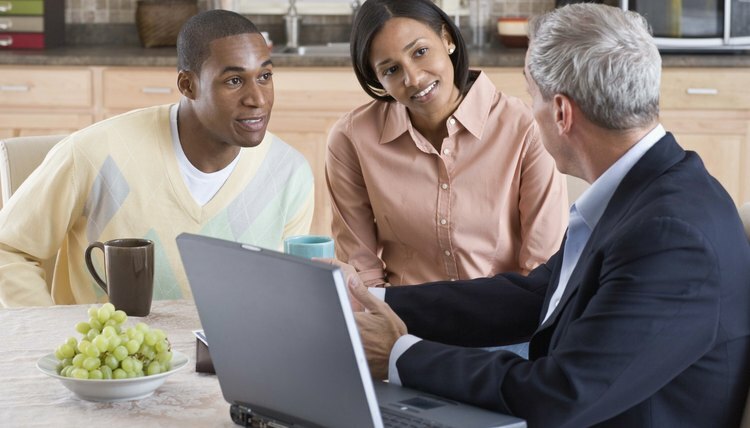 Consult an attorney in your state to learn about your state's laws of intestacy. No state requires you to have an attorney prepare your will for you. However, consulting an attorney is a smart move. If you have a large estate with lots of assets, you probably will want to use a trust to transfer some of your assets. If you have minor children, an attorney can help you ensure that your will covers your entire estate and provides for your children. An attorney can also write your will in a way that may prevent people from contesting it after your death, according to FindLaw. In most states, a valid will must do several things. First, it must indicate that it is your will. Second, it must have at least one clause distributing some part of your estate to a person or charity. Third, it must be signed by you and must contain the date you signed it. Finally, in most states a will must also contain the signatures of at least two witnesses who watched you sign your will and are aware that it is your will, according to FindLaw. An attorney who practices estate law in your state can inform you whether your state has any other specific requirements. A will is a written legal document that describes how you would like to distribute your property after you die. However, there are both pros and cons to making a will and whether drafting a will is beneficial to you may depend on your particular circumstances. In addition, there are other estate planning tools that you can use to handle your property following your death, such as creating a living trust. If you do not have a will or other estate planning document in place upon death, your property will be distributed according to your state’s rules. Every state has its own specific statutes when it comes to wills. A will that doesn’t comply with North Carolina’s laws is generally void, and North Carolina will dispose of your property according to rules of inheritance, giving it to your most immediate kin regardless of your intentions. If you write your own will, it is always advisable to use an attorney to review it before you assume it to be valid, according to North Carolina’s statutes.